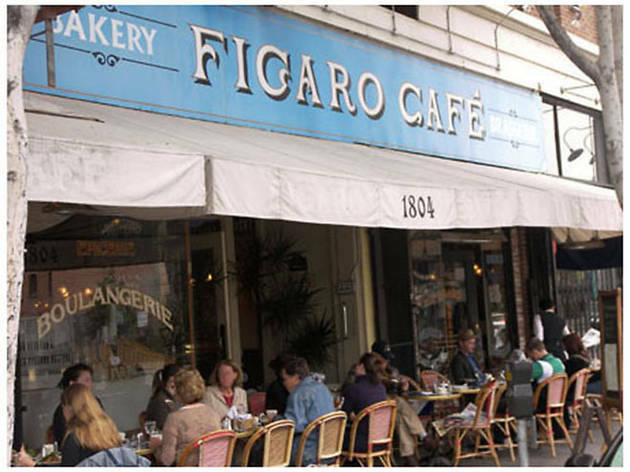 Better known to locals as Café Figaro, this local bistro transports you to a Parisian cafe—similar to those lining Boulevard Saint-Germain in Paris, ideal for people watching. 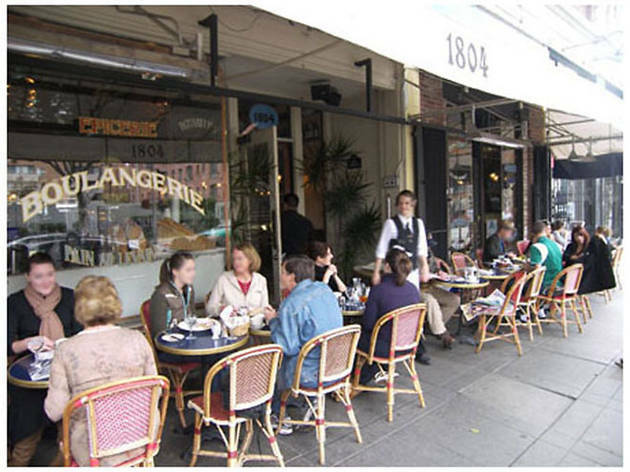 The menu boasts classical French fare (think: nic?oise salad and escargot) and the relaxed atmosphere is ideal for lazy afternoons and a café au lait, paired with colorful macarons from the boulangerie, of course. 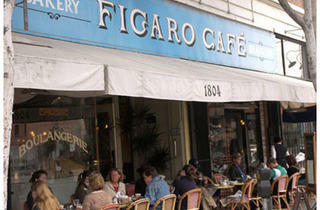 My husband and I have been going weekly for years but Figaro Bistrot has really gone downhill. Three times in a row this past month we have had bad service but tonight was the absolute worst. We waited for half an hour to pay our bill because their credit card system was down. The waiter made no apologies and suggested we 'go find an ATM'. When we explained that we were late to an engagement and asked to speak to the manager, we were told he was busy. When we finally tracked down the manager, Joann, he said "it's not my fault" and complained at length. We tried to tell him we had to leave & couldn't wait any longer, and he abruptly turned and walked away while we were talking. To make matters worse, after the manager walked away, we asked the waiter what we were supposed to do about our bill and discovered that he had taken a photo of our credit card on his phone without our permission "I'll keep this for later and run it then," he said off-handedly. When we told him that we did not want him to have a photo of our credit card on his phone and asked him to erase the photo, he said no. We got the manager's attention again and when the manager told him to erase it he said he did but when we asked to see the gallery on his phone to make sure he had erased it (as you can tell we had lost trust in the staff at this point), his response was "I'm not going to let you have my phone." After explaining again that we had no interest in his phone but we wanted to make sure he had erased the photo, he said "look, I did" only to hold up his phone with a photo of our credit card on it. When we said that "it was still there," he looked at his phone & said "oh yeah" & only then erased it (we hope). Finally they got their system working after nearly an hour, we paid & we left. A few simple words of "sorry for the hassle" or "let us get your info & we'll contact you once the system is up & running" or something to that effect would have gone a long way. But to take our credit card and then act as if we have a problem because we want to pay and leave in a timely fashion not only ruined the night but showed Figaro's true contempt for its customers. When we said this was terrible service, the waiter actually said "well, don't come back" - which is a terrible representation of a venue. Super cute French vibe with okay food. Maybe I went on an off day? Otherwise, the pastries looked great and if I feel like it, maybe I'll try those next time. 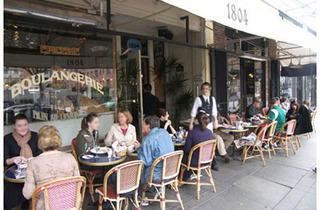 Authentically French, this place has a knack for transporting you straight to Paris! They have great macaroons, which you can get to go at the bakery.